Matt Heinz is President and founder of Washington-based Heinz Marketing. Over the course of his career, Matt has held various positions at companies such as Microsoft, Weber Shandwick, Boeing, The Seattle Mariners, Market Leader and Verdiem. 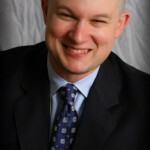 Matt is also a prolific blogger, speaker and author of five books on marketing, selling and productivity. Travel – and staying productive on the go – has been a part of his learning curve in each role. Airports and planes are the most reviled part of any business trip. The lines, the crowds, the unpredictability and the small spaces make it nearly impossible to avoid getting overcome by the travel blues. But it doesn’t have to be that way. Productivity guru Matt Heinz shares his favorite tips and tricks for literally working your way through airplanes and airports. How do you decide which projects to work on while flying? It’s often a matter of triage. Any given day, whether I’m traveling or not, I have a set of top-priority tasks that need to get done. If they can be accomplished on a laptop (with or without Internet), then that’s what I do first. Beyond that, I do file non-urgent emails and tasks to execute when I have time. Waiting for a flight or during a delay or other times while traveling is a great way and time to fly through those. Do you take meetings from airports or airplanes? Airports yes, but it’s not my preference. Too much background noise, and too unpredictable (will I get there on time, should I have gone through security first, etc.). Airplanes, absolutely not. God help us if they allow phone conversations on flights… Please, please, please, no! What tools or devices make it into your carry-on luggage? I try to travel light. I have my Macbook Air (the smaller, 11-inch version. so I can keep working if the passenger in front of me reclines his or her seat all the way back), plus an iPhone and iPad. I carry one of those small iPhone chargers with me now as well, plus all the requisite cords. Other than that, I have a Fitbit in my pocket at all times and also always have a thumb drive and a presentation remote with me, just in case. Where in the airport do you recommend working? That depends on the airport. Frequent flyer clubs are great if you can get in. Some airports have desks with outlets. Many of the Alaska Airlines terminals (I fly them often, especially on the West Coast) have outlets built into the seating areas. The hardest part of working in an airport is if you have to make a call. There are rarely quiet places. How do you make the most of the wait at the gate? It all goes back to that task list! I don’t mind waiting at the gate, especially if I can charge my laptop while powering through a to-do list. How do you [physically] set yourself up to work in the confines of your airplane seat? Comfort is key. Comfortable clothing, flexibility, easy access to my iPhone and a pen are key, too. I prefer aisle seats on the right-hand side of the plane since I’m left-handed and like to have my left arm in the aisle with a little more space. What can you get done without internet or telephone on the plane? Tons! I always make sure my computer is fully synced up before getting on an airplane, especially those email folders that house the non-urgent tasks I can power through. I do the same with my iPad, so that I can work in airplane mode during take-off and landing without Internet, and still power through reading and/or quick responses on emails. What if you can’t use your devices? Before we were allowed to use devices during takeoff and landing, I’d use that “down time” for brainstorming. I still do this, actually. Take a topic you need to brainstorm, a plan you need to write, or a blog post you want to outline. Put the topic at the top of a piece of paper and print it out. This is fast and easy for me, since I can basically just print things from my task list and it formats a working page automatically. It’s a great way to power through some active thinking time.